ABSOLUT VODKA has a long and successful history of coming out with flavored vodkas under its belt with ABSOLUT CITRON being the first vodka with citrusy flavor which took the world by storm and set the trend for flavored vodkas. ABSOLUT VODKA has a long and successful history of coming out with flavored vodkas under its belt with ABSOLUT CITRON being the first vodka with citrusy flavor which took the world by storm and set the trend for flavored vodkas. Several manufacturers followed suit and went with the brand new trend. ABSOLUT APEACH and ABSOLUT MANGO, the two brand new juicy flavors that definitely have the ability to hit the ground running and enjoy the same popularity. Just like all products of the ABSOLUT brand, the two new flavors are produced in the town of Ahus, in the Skane region, in Sweden. Both vodkas boast a sophisticated taste and a uniquely expressive aroma of ripe fruits. The juicy taste comes from pure, natural ingredients with no added sugar or artificial sweeteners. 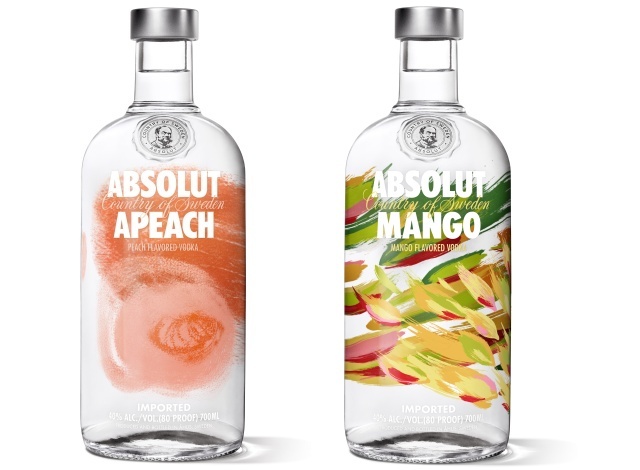 ABSOLUT APEACH joined the ABSOLUT family in 2005 however it’s brand new on the Slovak market. Just like all flavored ABSOLUT vodkas, it is made from exclusively natural ingredients and contains no added sugar. It boasts a pleasingly smooth and soft taste with an elaborate hint of ripe peaches harvested as far as in Asia. The name and the bottle of ABSOLUT APEACH reflect the extraordinary attributes. The bottle is dressed in a pink-yellow-orange shade inspired by the juicy pulp of ripe peaches. ABSOLUT MANGO has just been introduced to the Slovak market but fans all around the world have already had the chance to enjoy it ever since 2007. Thanks to the juicy mango flavor that is considered one of the royal fruits for all the right reasons, ABSOLUT MANGO has the name of success written all over it. The artistic design of the bottle with the frisky shades of green, red and yellow further highlights the tropical and juicy flavor of this royal fruit. Both ABSOLUT APEACH and ABSOLUT MANGO are best enjoyed neat or on the rocks but possibilities are endless and they do team up perfectly with other long drinks and cocktails. Check out a few recipes below and brace yourself for a whole new dimension of experience. 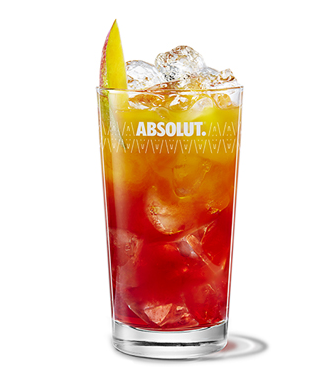 Fill a tall glass with ice cubes, throw in ABSOLUT APEACH, ice tea and decorate it with lemon. Fill a tall glass with ice cubes. Throw in Absolut Mango, orange juice, tonic and top it up with a wedge of fresh mango. Enjoy!